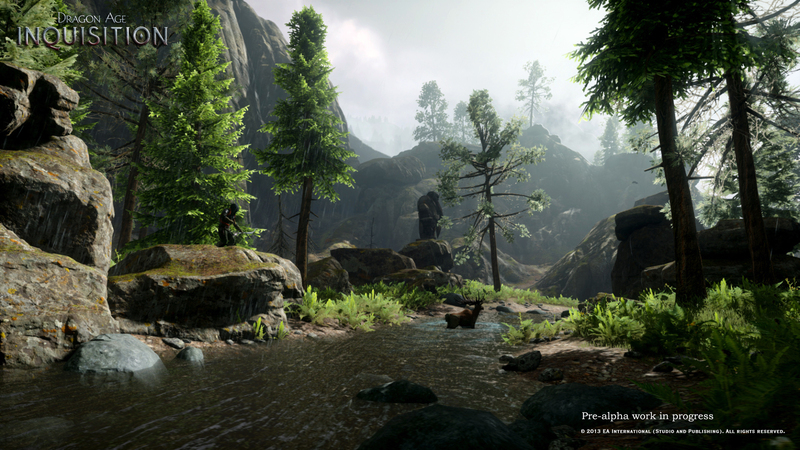 When we started Dragon Age: Inquisition, one of our earliest goals was to bring the world to life and let you decide who you want to be in this vast and complex world. We accomplished this by using the Frostbite engine, which supports massive areas, destruction, and the most advanced next-gen technology we’ve ever seen. 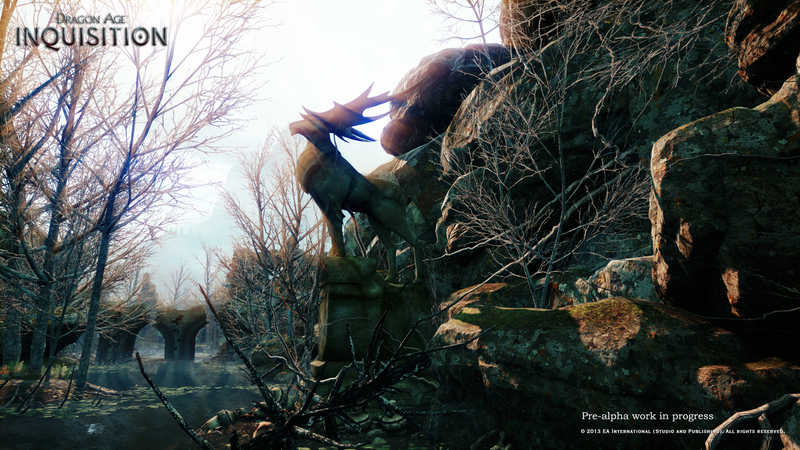 Dragon Age: Inquisition is BioWare’s first next-gen game. It’s also our most ambitious game to date! Nowhere is this more visible than in the incredible size and diversity of locations, life, and hidden places you’ll discover on your journey. Our new “Discover the Dragon Age” video highlights only some of the locations you can choose to visit during your adventure. Each area in the video has its own realistic ecosystem with predators, prey, factions, and opportunities to expand your Inquisition. The world’s population is based on an emergent system that adjusts what you’ll encounter based on how your actions tip the balance in the area. You’ll see towns attacked by bandits, deer fleeing from wolves, giants feeding on bears, and countless other scenarios. The artists, designers, programmers, animators, audio and VFX specialists and many others are the most talented I’ve ever had the pleasure of working with. They are the people bringing the world of Dragon Age to life for you to discover. They’ve built incredible graphics systems like weather that creates naturally-formed puddles, spider webs that blow in the wind, and huge amounts of various materials that look more realistic than anything we’ve ever created in a BioWare game! We are very proud of the work being done to create Dragon Age: Inquisition and we hope you’ll enjoy the new video. As always, we look forward to reading your comments on the BioWare forums, Facebook, Twitter, and Google+, so be sure to tell us what you think!